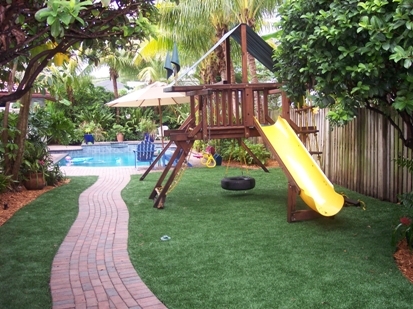 When you choose artificial grass for your child’s play area, you are making a smart, healthy decision. Fake grass has all the beauty of a lush green lawn, but it’s tough and durable, making it an excellent investment. Most important, synthetic turf enables you to ensure your children have a safe, comfortable place to play.